To become the biggest technological event in the world! With this ambition the 2017 Web Summit held in Lisbon has opened its doors to more than 60.000 attendees from 170 countries. They joined the summit to promote their new start ups, to find new ideas, to invest, to get inspired and to network. The Nobel prize laureate and former vice president of the United States of America Al Gore, the former French president François Hollande, the United Nations Secretary-general António Guterres came to share their support to the world of the innovation. Participants were even greeted from space by a message from the Italian astronaut Paolo Nespoli and were launched into the future by the amazing speech of the human robot Sofia! 1200 – the number of starry prestigious speakers! Nevertheless, the power of the Web Summit was not only in the presence of world famous people but also in new start-ups and original ideas. During the 4 days we talked to more than 300 people and interviewed more than 100 from 30 different countries in 8 different languages. On this site you will find original ideas presented directly by their creators, suggestions from investors and information about projects by international organizations. Well, with the above mentioned numbers, and 100% of very satisfied interviewed start ups, international organizations and investors, the Web Summit has exceeded its ambitions. How big is the role of national and international organizations in the world of innovations and in the life of start ups? Many of them joined the event to demonstrate their support and to share useful information with start ups and investors. 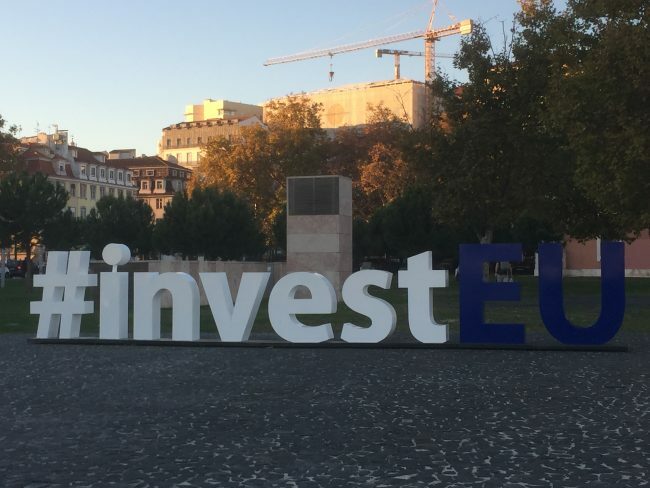 Our attention was immediately attracted by invest.eu – a project introduced by the European Commission. The professionally prepared EC staff was answering and supporting hundreds of attendees who stopped at their stand. After talking to the web-team leader Enrico Portelli, we got an interesting interview with Flipa Ramahallo, Communication Officer at the European Commission. The presence of invest.eu was very important and also very appreciated. It was also greatly promoted by the originally designed installations in the center of Lisbon. Good job EU! Then we met Ana Abreu from the UK Department of International Trading, who told us more about the support they provide to start ups and the solutions aimed at linking up UK entrepreneurs with investors from around the world. Let me introduce to you the youngest start up creator of the Web Summit. Only 16 years old Ondrej Vrabel from Slovakia has developed Pinf hry, games for kids with Autism, Down’s syndrome or Cerebral Palsy. This was one of the interviews I was most proud to take part in, both because of the age of the founder and because of the social role of the app. With Pinf children with special needs can learn how to read, write, recognize colours, read time and at the same time the app helps them to improve their fine motor skills and logical thinking. A start-up which saves the most fragile. In this the case elderly. We met Gilson Esteves from Tecnosenior, a Brasilian company which develops innovative and extremely useful products for personal emergency monitoring, focusing on the needs of the elderly. An original idea and an even more original approach of its creator. During a cocktail party at the Ritz Hotel in Lisbon, we had the opportunity to meet several start-up founders, journalists and investors which were sharing their ideas and suggestions. I was pleasantly surprised by the Lablaco created by Shih Yun Quo and Lorenzo Albrighi (an Italian/English fashion designer). Shih Yun Quo has introduced Lablaco to us, an Italian start-up which is the first digital Social-Commerce and Circular Economy platform in fashion, worldwide. Why not match technology with an environmental “rural” project? Let’s meet Nils from BEEsharing, an online network created for bee-keepers, farmers and bee enthusiasts to share bee-related knowledge, services and products. Web Summit doesn’t end at night. The best of Web Summit’s networking happens after hours, in bars across Lisbon. Dennis Vilovic has introduced a Spanish based start up Trooptravel to us, an optimizing tool, which analyses thousands of flight options and combined with travel preferences suggests the best places for groups to meet. Dennis has shown us how it works in real time. As we were in Lisbon, we had the opportunity to meet a huge number of Portuguese start-ups. Being a travel and let’s say also a shopping fan, I was immediately attracted to Hand2Hand, an app, which connects travellers with shoppers seeking products from all around the world. The Web Summit also introduced a project called Women in Tech, so lets look at the Spanish based start-up Menu de Dias which was completely made by one woman and one woman only. Have you ever thought of travelling the world and earning money while travelling? Learn more about the app that helps you to find a temporary job in every destination you go to. In our interview Felipe, introduces Nomadash, an app that helps you find per-day job offers around world while you travel. And what is the tech evolution of management? And here we are in the sophisticated software area! Juraj has presented us a Slovak based start up Kontentino. Not an “early birth” start up but already a well working project which helps social media brand managers and digital managers around the world create high quality content by making their jobs as streamlined as possible. Watch the full interview to find out more! The Italian Datalabor is not a recent start up but a well-established business for small and mid-sized companies that are interested in having a professional customized business management platform solution. We were talking to Luigi from Datalabor, a revolutionary business management platform to self-create management applications such as ERP, CRM, WCMS. Last year we interviewed the founder of Eyeo, the owner of the notorious Adblock plus, which blocks ads on publisher sites, preventing monetization. This year, in the spirit of fairness , we met the antagonists, the Czech company Antiadblock! Urša from the Slovenian company Visionect introduced us to Place & Play a paper-like, energy-saving display, mount and software player in a single all-in-one device, foregoing expensive and time-consuming sign installation, integration and content management. Ursa was one of the thousands of attendees, but in some way different. While we were finishing one of our interviews she has suddenly interrupted us asking, if she could demonstrate her start up to us. Well, if the mountain won’t come to Muhammad, Muhammad must go to the mountain. Even tough we were tired I liked her strongly entrepreneurial and at the same time pleasant approach! Web Summit is about networking isn’t? So lets meet Prashant Pitti from NearGroup a start up expanding at a phenomenal rate. And where is the e-commerce heading? Among the dozens of booths dedicated to the e-commerce industry, some start-ups were able to draw our attention because of their original ideas. One of them, SHOP-O-RAMA, is a start-up made in Italy-founded by Stefano Ritelle, who returned to his home country after 12 years in China. His online marketplace allows small and medium companies to use this software in order to promote Made in Italy products in the world. What would the Web Summit be without at least one crypto-currency related start-up? Dozens of international blockchain and bitcoin professionals participated with their new solutions at the Web Summit. I interviewed a couple of particularly interesting ones. bitINKA a South American Bitcoin wallet, which allows users to buy and sell bitcoins in exchange for 9 different currencies through a built-in trading platform. National currencies can be deposited and stored in the Bitinka wallet. 2017 is surely the year of crypto-currency. What news are bringing the giants of the internet? BTC.com is one of the world’s most important players in the bitcoin wallet and mining pool field. It is the prime online destination for information about the Bitcoin and digital currency industry: integrating a community forum, breaking Bitcoin and digital currency news, Bitcoin network statistics, a solid beginner’s guide to Bitcoin and much more. If our editorial activity is successful and we have received millions of visits through search engines, it is partly due to advanced analysis tools, especially SEMrush. That’s why at any Web Summit we can’t miss a meeting with someone of their Team. Last year we talked to Olga. This time we met Daryana. SEMrush is one of the best keyword researching tools worldwide, and Daryana shared with us their most recent news and projects. Let’s find out the latest news in the SEO world! Another giant of the Web! Let’s discover the latest news from the world of domains with Frank from SEDO, the world’s leading domain name and website marketplace and domain parking provider. To organize our editorial work and to optimize every task with our programmers, designers and other freelance cooperators, we have been using Trello for years! That is why when we noticed the Trello stand at the Web Summit, we could not miss at least a short chat. We met Alexa Battisita from Trello, one of the most popular web-based project management applications in the world, who has shared with us some of their hotest news. We met Rafael from Startup Creator, a German based company, which is supporting entrepreneurs in developing their entrepreneurial ideas towards the implementation of their tech concepts in the form of an app and web development and providing them with everything necessary to build their own start-up. One of the most important Italian headhunters and chief editor of Fior di Risorse (association of HR professionals born on Linkedin which soon became a benchmark in the industry). Osvaldo was not hiding his great enthusiasm about the Web Summit, but at the same time revealing a bit of disappointment with the current situation in Italy. We hope you were inspired just as much as we were and can’t wait what Web Summit 2018 will bring. 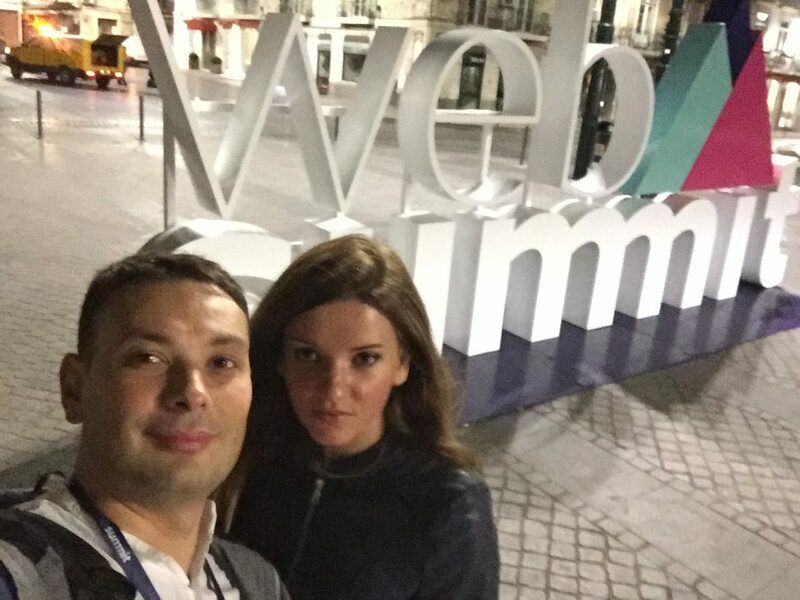 Thank you to Web Summit organization and to all people who shared with us their experiences! See also who we met during the Web Summit 2016 in Lisbon and Web Summit 2015 in Dublin. I'm a professional blogger and journalist with an extensive experience in HR, co-founder of euspert.com, pinlanguage.com and biancolavoro.it. During my career I have also acquired experience in different fields working as a trade manager, responsible for logistics and event organizer. As a polyglot fluent in seven languages I had the opportunity to work as an interpreter and translator for important companies around the world. NEWER POSTCan IQ and Aptitude Testing Help You Secure the Perfect Candidate?